Ngorongoro crater, Lake Manyara national park and Tarangire national park are each amazing safari destinations, together on an itinerary, they make one of the most exciting safari holidays anyone could ever experience in Tanzania. 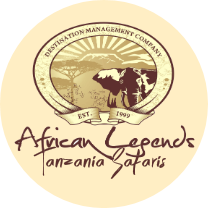 With a good driver, an experienced guide, and good accommodation booked way in advance-all of which can be arranged by us, you will definitely enjoy your safari. This safari trip starts and ends in Arusha. So after arrival in Arusha you will be transferred to Lake Manyara national park. Lake Manyara national park is located in northern Tanzania. It is a very breathtaking scenic piece of Africa that covers about 330 sq. km, 200sq. km of which is Lake Manyara. The scenic Lake Manyara stretches for about 50km along the base of the rift valley escarpment which is about 600 meters high. Lake Manyara national park is one of few parks with the interesting tree climbing lions. These can be seen in the acacia woodland of the park. Other animals you will find in the park include; elephants, mongooses, the tiny Kirk’s dik-dik and so much more. Do not forget your camera, so many amazing things to take pictures of here. Remember to carry packed lunch for the day, and possibly dinner. At the end of day one, you will stay at a guest in the park, or near the park, depending on where you made your booking, and rest and prepare for day two in Ngorongoro. 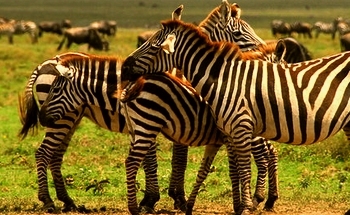 After an early breakfast on day two, you will be taken on a tour of the Ngorongoro crater which includes a game drive. Ngorongoro crater is the largest unbroken caldera in the world. And just that fact is enough to draw people from all across the world to see it. Add beautiful scenery and a variety of wildlife and you have a tourist hot spot. the volcanic crater is about 20km wide, and 600m deep covering an area of about 300sq. km. It is a habitat for thousands of animals. Its floor has numerous waterholes and shelters that explain the vast wildlife population. About 30,000 animals have made their homes in the crater; these include; buffaloes, cheetahs, lions, hyenas, elephants, wildebeest and many more. It is also the only park where you are guaranteed to see of a black rhino or two. Pack lunch and dinner for the day. The trip is more fun when you are well fed. You could even enjoy a lunch picnic somewhere on the floor of the crater surrounded by nature. At the end of the day you will stay the night at a lodge or guesthouse in the Ngorongoro area and gear up for day three. The day starts off with an early breakfast and then a trip to Tarangire national park. In Tarangire you will be taken on an extensive game drive. Remember to carry a packed lunch. Tarangire NP covers an area of about 2850 sq. km. It is mostly known for its large population of elephants which scratch the dry river bed for underground streams of water. The elephant population on the dry river bed numbers up to 300 animals. Other animals in the park include zebras, buffaloes, impalas, gazelles, hartebeest and elands which all crowd the shrinking the lagoons. You might also see some migratory wildebeests. The Tarangire tour ends at about 4pm in the afternoon, and then you will be on your way back to Arusha.